Have you been searching for information about which leaf protection method is best for your home? If so, you’ve no doubt learned that there are many ways to answer which gutter guard system is going to perform best under your homes specific environment. The thing to remember when reading gutter guard reviews is that not all products will work the same in varying environments. That means that someone in Nevada, where it rains very little, may rave about a particular brand, or style while someone in moisture heavy areas like Florida, may claim that the same product is the worst on the market. You’ll need to understand a few basics, and consider the type of weather you are most prone to experience when making the best choice for your home. Mesh Gutter Guards – The mesh gutter guard is self-explanatory, for the most part. 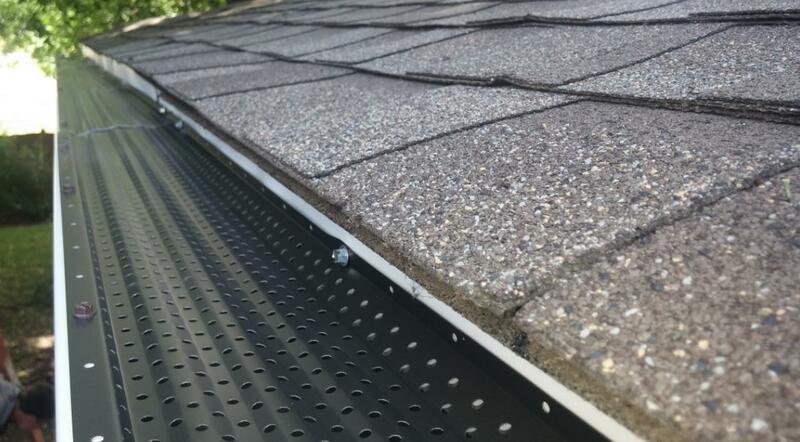 A perforated metal sheet is laid over the top of an existing gutter and allows water to drain through, while keeping larger items like twigs, branches and leaves from entering and clogging the system. This is the style most recommended by Jackson Exteriors. Click here to learn more about our tried and proven SpeedScreen aluminum mesh-type installation. 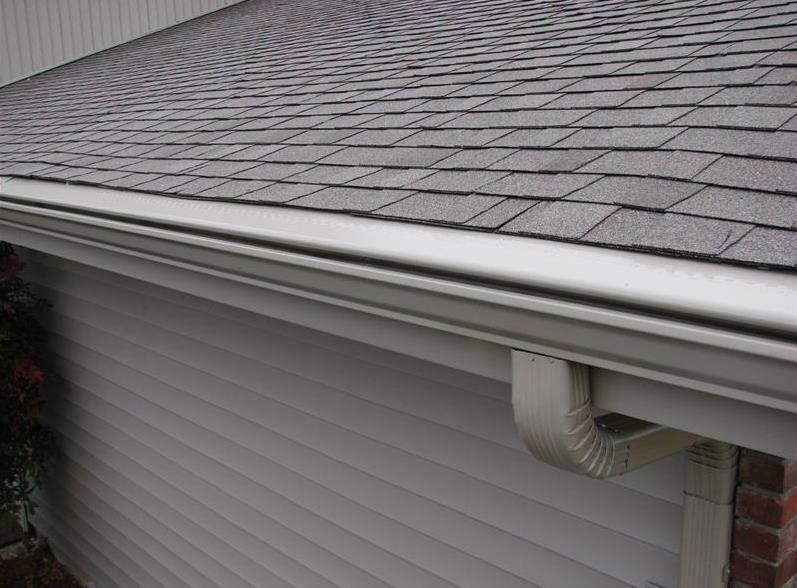 Reverse Curve Gutter Guards – The reverse curve style is designed to limit the amount of effort it takes to keep your gutters clean by inserting an opposing shaped material over the existing gutter. The idea is that water is allowed to funnel into the gutter while larger, foreign objects are blocked outside to keep them from collecting and disrupting the natural course of the water as it leaves the roofline. Bottle Brush Gutter Guards – You may have seen this type of leaf protector before. It consists of a series of wire brushes that face upwards, and are inserted into the gutter. The water runs smoothly through the system due to the brushes holding anything big enough to block the flow at by. The brushes suspend larger debris that would otherwise begin collecting in the bottom of the gutter and becoming a clog. Nylon Gutter Protection – This type of weather protection is popular in cold, snowy climates because of its ability to keep snow and ice from forming. This problem results in the need of having to climb onto a ladder in the cold days of winter to clear away frozen debris, or ice buildup; something no one wants to be a part of. Foam Gutter Protection – Similar to the in-channel bottle brush style, the foam leaf protection system is actually a petroleum based product that is inserted directly into the gutter and blocks debris from collecting much the same way as bristles would. The number one thing that you should remember when comparing leaf protection systems, besides the price, is that no system is truly “hands-off”. There are no fully automatic systems capable of guaranteeing you will never need a ladder to clean a surprise clog. You can, however, expect that with minimal, routine maintenance, your gutter guard system will function perfectly for years to come. At Jackson Exteriors, we aim to provide our clients with the most accurate information available on all of our services and products.